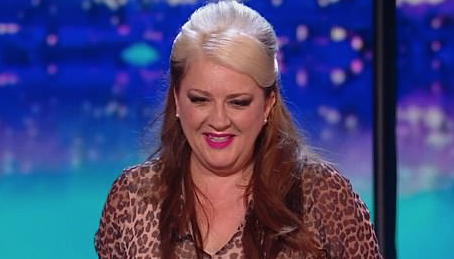 MAGICIAN Mandy Muden has risen to fame after her entertaining appearances on Britain’s Got Talent. Appearing at Theatre 2 on Saturday night, she royally entertained the audience with her very clever magic matched with her withering wit. You got the feeling that Mandy wished the audience were a bit more “warmed up”, i.e: had a few pints, as initially everyone was being a wee bit quiet, politely clapping at each trick however once she got her first “stooge” on the stage (sorry Michael from Ongar) she was able to wonderfully blend the put downs with the magic. Mandy had more fun with myopic Dave and later on with audience members problems with the light. The scenarios were like candy from a baby. You get the feeling that Mandy Muden could succeed on a variety of fronts, playing theatres, cruise ships, festivals etc. The key to her success is how personable and self-deprecating she is. Whereas magicians have had a long reputation for being a bit cheesy, Mandy Muran is warm, engaging and very funny. The highlight of the show was her mind reading pieces. This reviewer had had a long day but is still thinking “Denmark, Elephant and Grey”. The audience were genuinely very impressed with the quality of Mandy Muden’s work. A very entertaining night, we do hope Mandy Muden returns to Harlow soon.